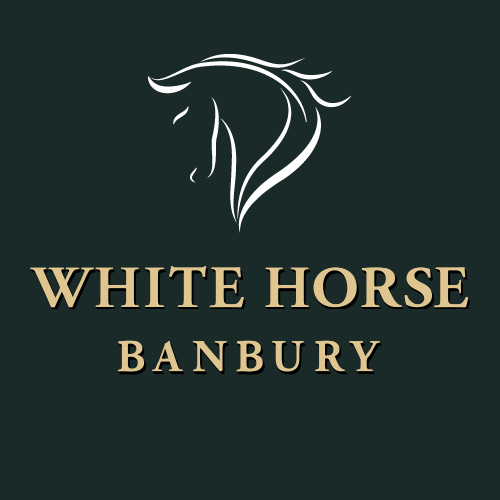 We took over the White Horse in Banbury in April 2015 and, since then, have endeavoured to transform it into a community pub used by Banbury locals and visitors alike. We began with developing a team of committed, like-minded staff who believe in the value of a warm welcome, a comfortable environment and a really good product. We have a shared approach to high standards of customer service and everyone works hard to achieve this. We’ve spent time making the ethos of the pub varied using candles (lots), open fires, sofas with cushions, wing back chairs and traditional furniture in keeping with the 1930’s pub feel. The addition of a piano has been a great asset, and the various spaces in the pub now feel like rooms. Customers have books and newspapers, various games including dominoes, and artefacts to look at but space can be adapted to accommodate private groups, weddings, and televised rugby. Toiletries in both the ladies’ and gents’ facilities for customers to use. Music in the pub is played on a 1960’s Dansette record player and customers often bring their own music to play as well as our sizeable collection of records. We have developed a baby changing area and a range of toys and games to keep younger people happy. As a result, the environment we offer is safe and relaxed and has significantly increased our female drinkers which is great to see. We have live music- an amazing jazz band on Tuesday evenings, live music every Friday night giving a range of styles for customers to enjoy, with a weekly quiz night, and two darts teams. The courtyard garden has been developed with lots of plants, bamboo and, just for something different – candles, and we were lucky enough to win two Bronze awards from Everards for our efforts. I say our efforts – this has been done not just by ourselves but also customers helping with planting and great ideas! By carefully choosing our drink offer and price points, and clear expectations of acceptable behaviour (“Be nice or leave” is our only rule), we have been able to ensure that our drinking environment is a safe and calm place to be for people to relax and enjoy themselves. We have the luxury of being free of tie on Cask Ale which enables our two Kens (the dream team) to give themselves up to the “kids in a sweet shop” they really are. We carry a great variety of beers styles and types from a range of breweries including “Big Lamp” brewery in Newcastle from whom we had a ton and a half of beer delivered. Unloading that lot was fun! We also have a beer made especially for us by a local brewer which is well liked and we feature other local breweries. We help customers choose what they like by having small samples of beer on the bar so at least they can start with the colour they like and all the staff are able to advise customers of the specifics to help them decide – quite a job when some beers are gone in three hours. Likewise with ciders, we carry two still ciders which may be more unusual ones as well as regular draught. Although we are definitely an ale pub, and are well supported by CAMRA, we have also built up a wider range of gins, vodkas, rums and whiskies to meet our growing range of people who like to come to the pub, but aren’t beer drinkers. Our food aims to be straightforward, homemade traditional pub grub at a very affordable price point and we also offer buffets to meet customer requirements. We’ve cater for life celebrations – birthday parties, christenings, weddings, funerals, leaving do’s, BBQs, the rugby world cup, breakfast for some of our regulars off to see the cricket, and have also enjoyed a Thank You For Your Support party for our customers, carols and candles, Banbury Folk Festival who were based with us for three days including 40 Morris dancers (and some very strange papier-mache horses), a Hallowe’en party, candles and carols at Christmas, two Dickensian evenings with actors involving guests in the story of Scrooge during their five course meal, Christmas dinners, New Year’s party, office parties, and charity nights. All have provided people with fun, laughter and great memories. We were asked by a member of CAMRA who was visiting from Wales – “Where can I find the formula that you’ve used to make this pub so fantastic because I want to take it back home and say to the pubs – do this”. No formula – just people who care about the beer and the people who drink it. We value most what the community gives back, laughter and support, warmth and friendship to each other and enjoyment of great beer – Bless them all. © 2018 The White Horse - Banbury, Oxfordshire.